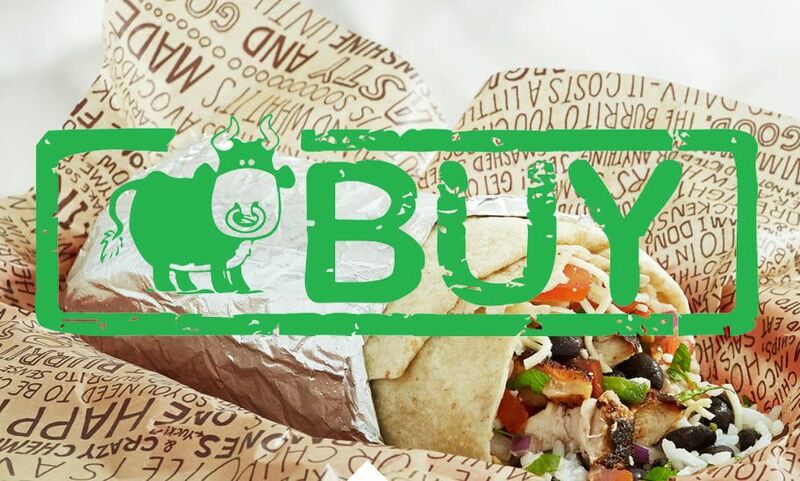 Editor's Note: Shares of Chipotle (CMG) are up 65% since our Restaurants analyst Howard Penney and his analyst team moved CMG to their "Best Ideas Long" list from its "Best Ideas Short" list on 12/4/17. Below is a portion of their original research note announcing the pivot. If you are interested in receiving their institutional research email sales@hedgeye.com. We are transferring Chipotle Mexican Grill (CMG) from the Best Ideas SHORT list to the Best Ideas LONG list. We are of the belief that the current negative fundamentals might cause short term swings in CMG's stock price, but the company is going to get a pass on fundamentals for the time being. The fact that CMG is looking for a new CEO suggests that the potential for transformational change will be the biggest driver of the stock over the next 12-18 months. Additionally, if our first choice for the CEO post gets the job, the floor for CMG will certainly be in place. Chipotle has a BRAND problem of epic proportions and it will take a special CEO to restore the financial model of the company. Included in the hiring of a new CEO, Chipotle will also need a complete and thorough overhaul of its entire leadership team if it has any hope of the brand regaining the trust of the American public. A company’s culture begins with its values, and step one for CMG, and its new CEO, will be to instill a new set of values that inspires the employee base. Chipotle needs a new CEO who is all about integrity and who has a strong track record of successful restaurant turnarounds. The new CEO needs to understand the subtleties and enormous importance of brand building, consistency across several financial metrics, and consumer trust. CMG needs a CEO who has demonstrated the credibility of leading hundreds of thousands of employees to effectively and profitably run operations, starting first and foremost with ensuring the safety of its quality ingredients sourced throughout the supply chain. Transformative change is needed to consistently ensure a quality experience for customers and to overcome an egregious and highly damaging breach of public trust. Transformative change is needed to ensure a proper working environment for all employees, based on holding people to high standards and treating them with genuine respect. And ultimately, transformative change is needed to ensure the ability to create significant value for its shareholders after one of the most embarrassing examples of negligence, arrogance, and recklessness in the restaurant industry. A CEO with strong core values and integrity who can inspire others to be their best. Hire a new leadership team with strong values that demonstrates the courage and ability to cultivate a culture of high integrity, and to do what is right for the business. Honor and support the supply chain and its vendor partners, and not disparage them. Reinvent the business; it will be a process to rebuild this iconic brand that once enjoyed great success. Earn customers trust through transparency, honesty, humility, authenticity, active engagement, collaboration and hard work. Develop and move forward confidently with a well-thought-out and comprehensive three-year plan that has an ongoing cadence, not a desperate and tactical one based on giving away free food. Embrace speed - "Be quick, but don't hurry."